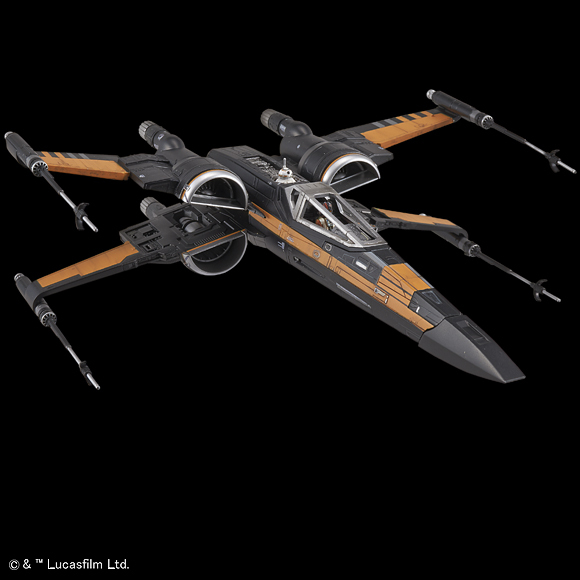 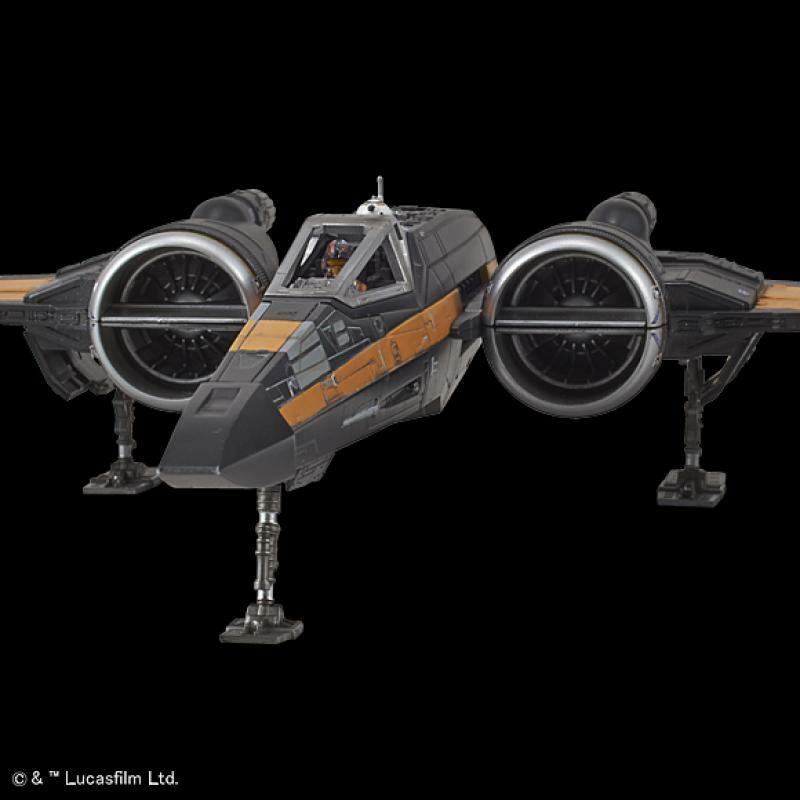 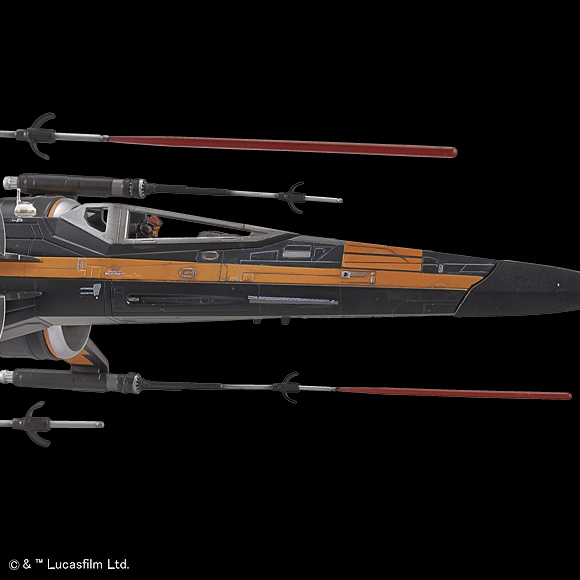 Codenamed Black One, and made famous by Poe Dameron in the Star Wars movie, The Force Awakens, the T-70 X-wing fighter was the successor to the T-65B X-wing starfighter, manufactured by Incom-FreiTek for use by the New Republic Starfleet. 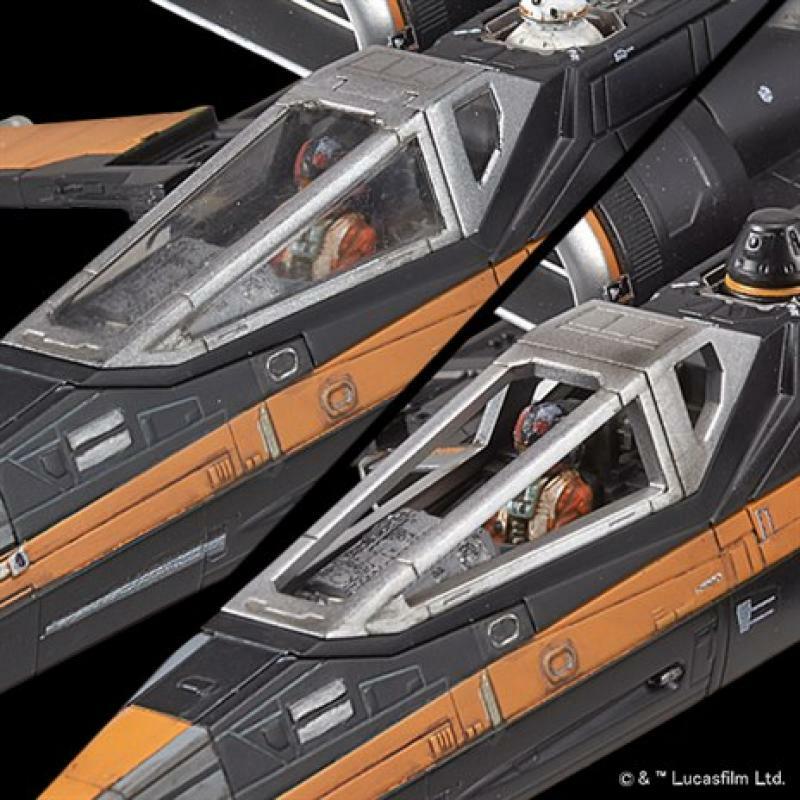 More expensive and complex than the former T-65B, the T-70 featured advanced weaponry and proved more versatile than its predecessor, and was essential in both dogfights and capital-ship scale combat operations. 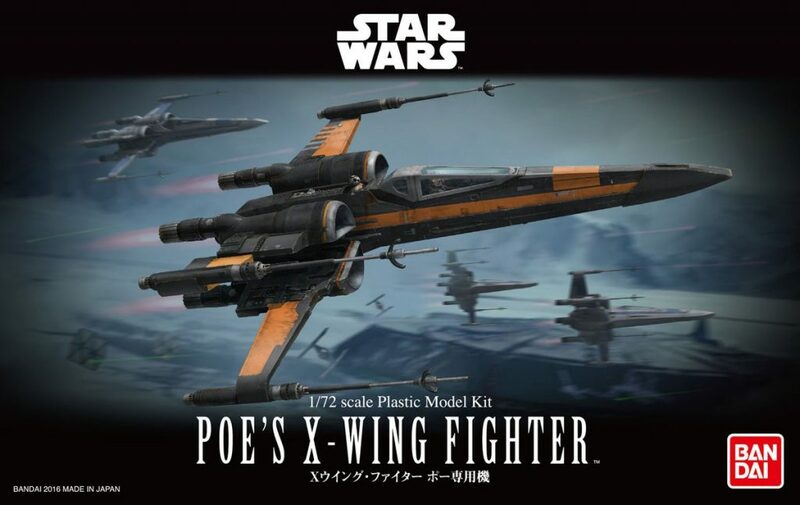 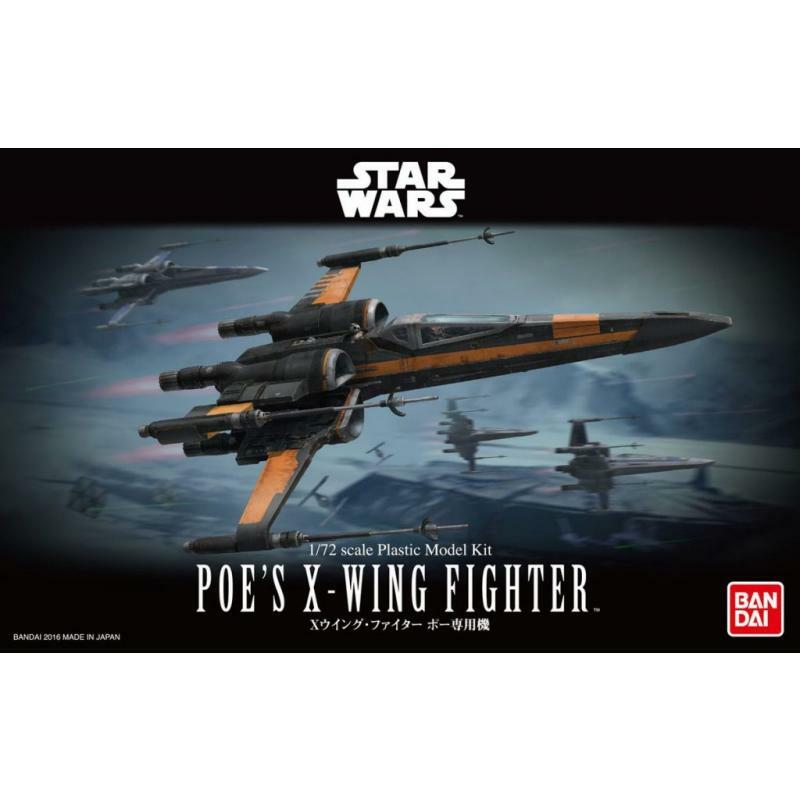 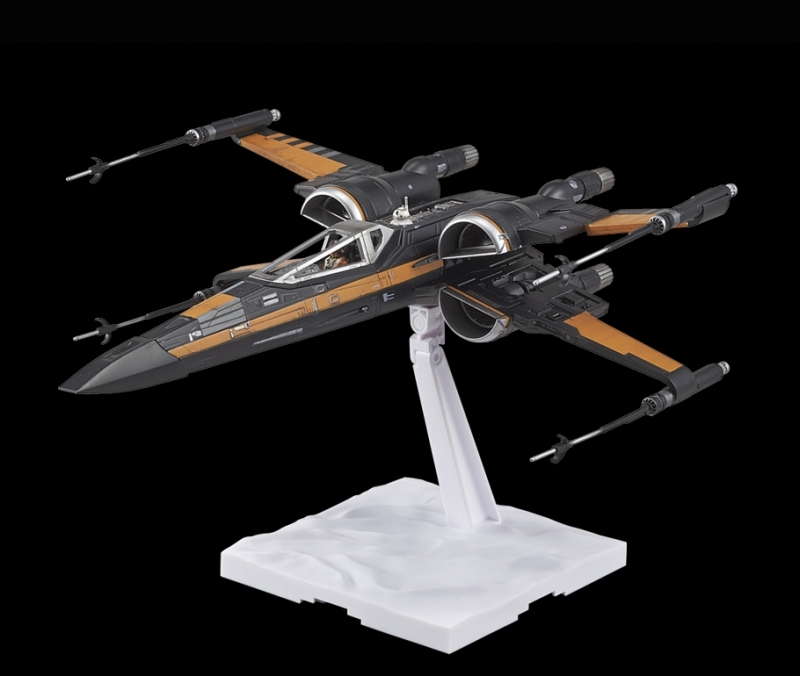 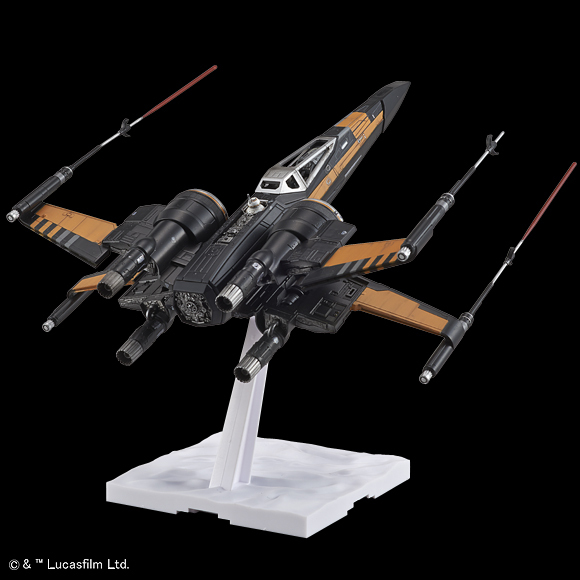 Utilizing Bandai's trademark color injection molding techniques, Poe's X-Wing Fighter is faithfully reproduced in 1/72 scale. This X-Wing features opening and closing S-foils laser effect parts that can attach to the wings, a cockpit with 2 different canopy options, and display stand. 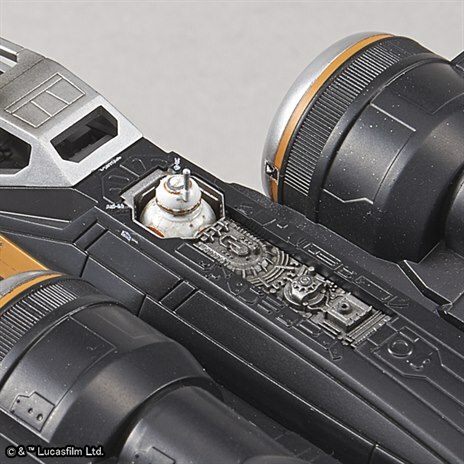 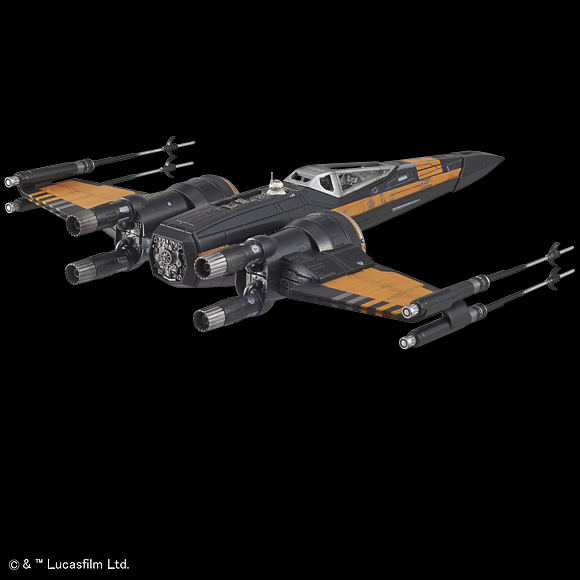 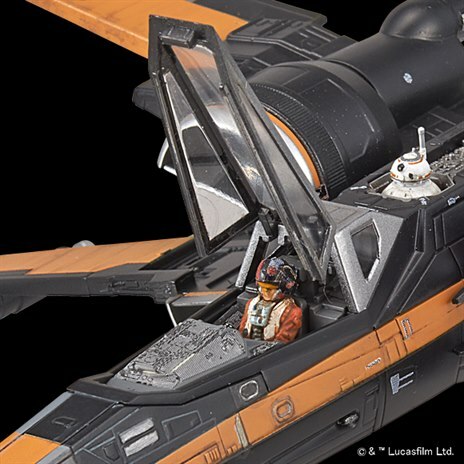 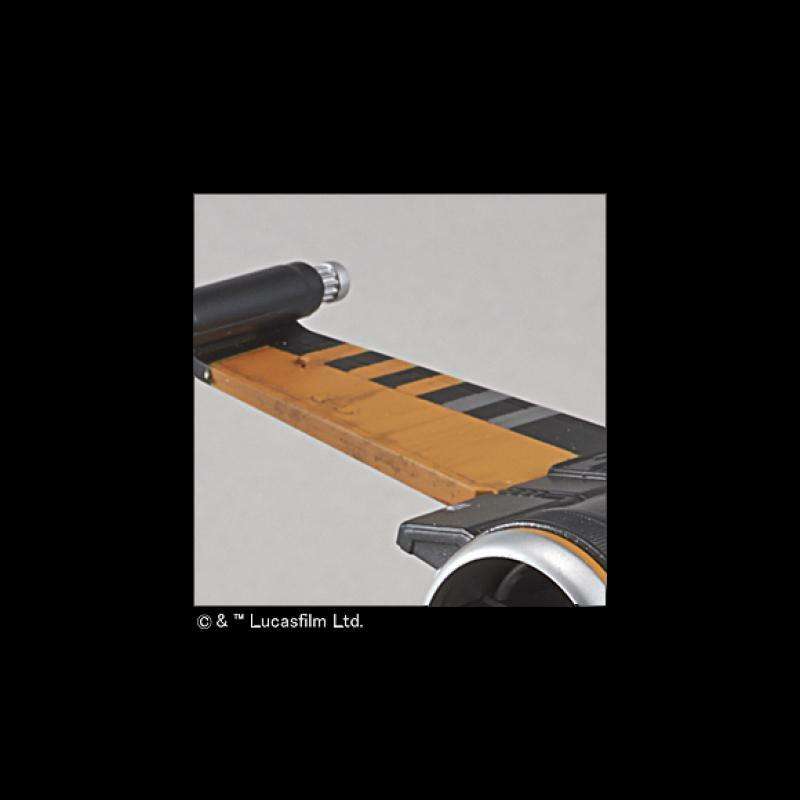 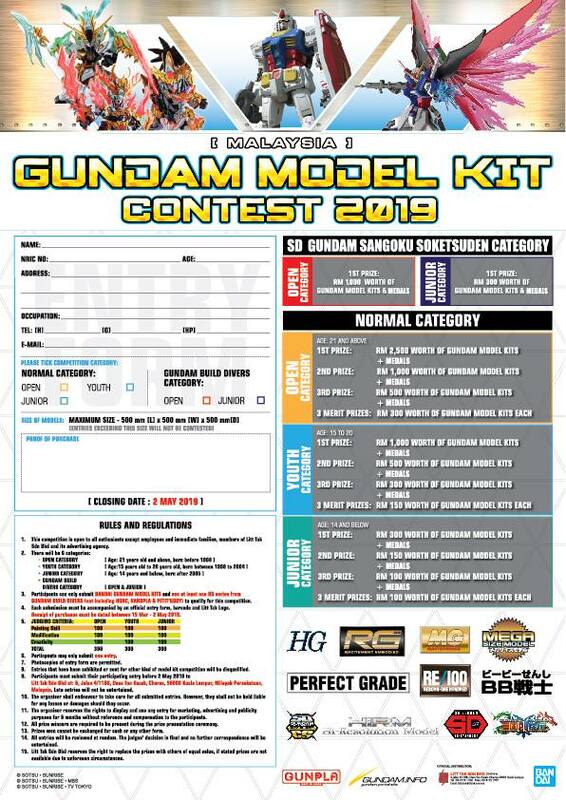 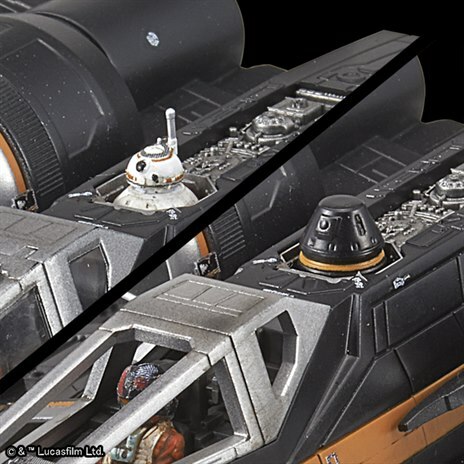 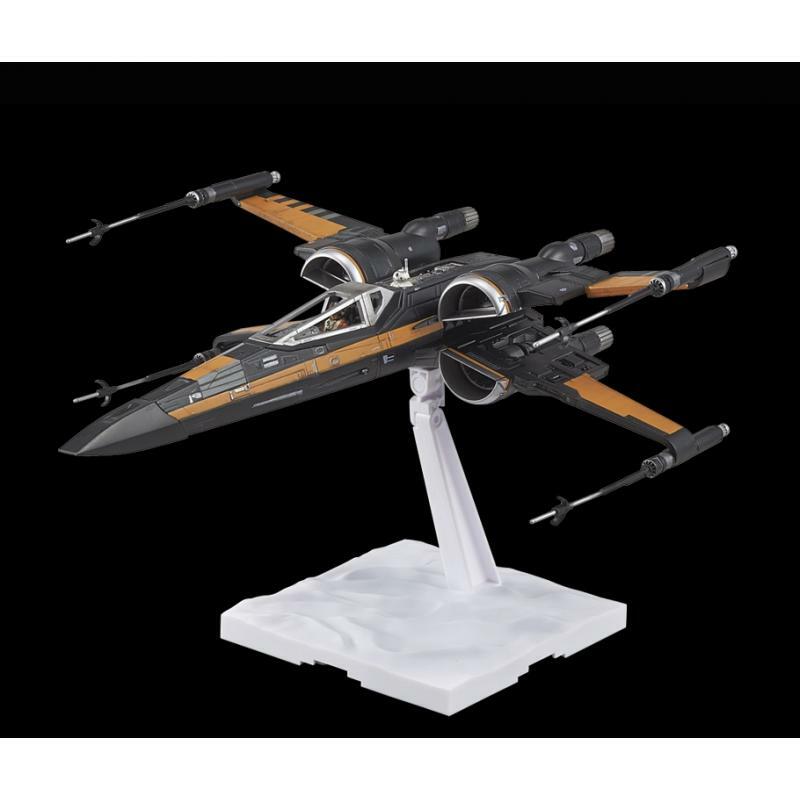 Set includes Dedicated display base (x1), seated Pilot ï¼ˆx1ï¼‰, BB-8 (Ã—1), RO-H2 (Ã—1), Laser effect part (x2), Landing gears (x1), set Canopyï¼ˆframe only x1 / clear part x1ï¼‰. 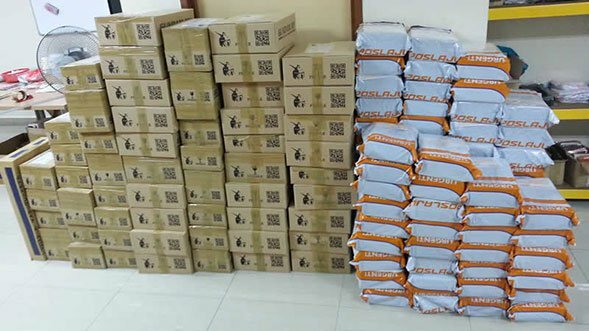 Water-transfer decal (x1), Marking sticker (x1).